With 881,400 square feet of high-tech, highly desirable meeting space right in the heart of downtown, the Austin Convention Center is just steps from much of what makes Austin so dynamic and engaging. In terms of space, the Center offers 247,052 square feet of contiguous, column-free exhibit space; two ballrooms of 40,510 and 23,000 square feet each; and 54 meeting rooms. View floor plans on the Convention Center&apos;s website. 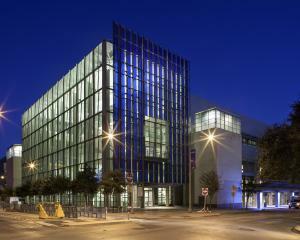 The Austin Convention Center is a gigabit-rated building and ranks among the most technologically advanced convention centers in the country. When the facility doubled its size, the Austin Convention Center upped the ante in the technical convention industry by installing a communication infrastructure capable of moving voice, video, and data at over 1 billion bits a second. 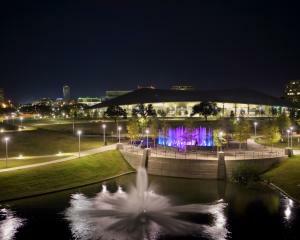 The Austin Convention Center also offers complementary wireless internet service.